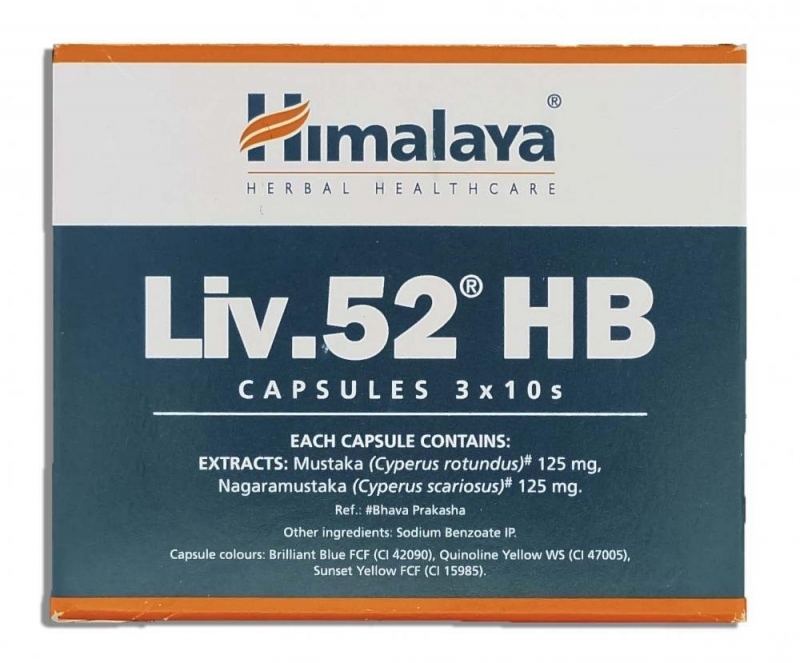 Liv.52 HB capsules by Himalaya Herbal Healthcare is the first herbal drug for the effective management and treatment of Hepatitis B virus (HBV infection). Liv.52 HB capsules exerts antiviral activity and enhances the antioxidant defense system. The natural ingredients present in Liv.52 HB capsules suppress Hepatitis B surface antigen (HBsAg) as well as clears the Hepatitis B virus (HBV) by reverse transcriptase inhibition. Liv.52 HB also significantly lowers the overall viral load in chronic hepatitis B infection. An extended treatment period of six months is known to provide much better results in terms of viral clearance. Liv.52 HB capsules also provide hepatoprotective action by reversing the oxidative damage of hepatocytes and exerts an overall hepatoprotective action. This medication also renormalizes liver functions such as liver enzyme levels and hepatic glycogen levels. 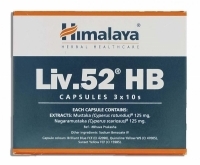 We supply original Liv.52 HB capsules manufactured by Himalaya Herbal Healthcare. The active ingredients present in Liv.52 HB capsules are Nut Grass (Musta) lowers the viral load on the liver and posesses anti-inflammatory and hepatoprotective properties. The second active ingredient is Umbrella's Edge (Nagaramustaka) which has antioxidant and anti-inflammatory properties that benefits the liver. Liv.52 HB, a multi-ingredient ayurvedic formulation, is used for the management of hepatitis B infection. Various clinical studies conducted have proved the therapeutic efficacy and safety of Liv.52 HB in the management of hepatitis B. 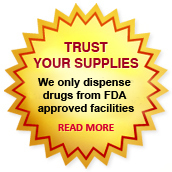 It is also free of harmful side effects, which ensures patient compliance. The antiperoxidative activity of this medicine prevents loss of functional integrity of the hepatic cell membrane, due to its effect on cytochrome P-450 system, hastens recovery period and ensures early restoration of hepatic functions in infective hepatitis. Liv.52 HB capsules also protect the hepatic parenchyma as well as promote hepatocellular regeneration most probably due to its antiperoxidative and antiviral activities. Please consult your doctor as dosage has to be individualized. The normal dosage is one capsule, twice a day. Liv.52 HB capsules is not known to have any side effects if taken as per the prescribed dosage. Do not use Liv.52 HB in case you have a hypersensitivity (allergy) to any of the ingredients present in Liv.52 HB capsules or if you are under medication. Please consult your doctor before using the medicine. This medication is not to be used by children below 15 years of age. You can buy Liv.52 HB Capsules online from Clear Sky Pharmacy at a cheap price. Liv.52 HB Capsules manufactured by Himalaya Herbal Healthcare, India are supplied in a box of 30 capsules. The mg tablets cost only $0.47 per unit when you place an order for 600 capsules.